HSM - Up to standard? Home> Slips, Trips & Falls >Fall Prevention >Up to standard? Home> Slips, Trips & Falls >Fall Protection >Up to standard? THE ACCESS Industry Forum (AIF) is the forum for the principal trade associations and federations involved in work at height. Each organisation represents a different sector of the access industry and fosters and supports codes of good practice, equipment standards, training, education and knowledge. In this article I’ll introduce these organisations and the key roles they play in AIF. Fall Arrest Safety Equipment Training (FASET) is the leading authority in safety netting guidance and associated training courses. It provides free, industry accepted guidance on key subjects such as repairs, UV testing, tagging, permissible gaps, joining and attaching nets, and falls reporting. It is also recognised for its training and guidance for other temporary safety systems, including stair towers and edge protection systems. Less known is its pioneering work in the rapidly expanding access platform decking sector which is increasingly being used as a versatile and cost-effective fall prevention system and safe working platform in the UK construction and housing markets. FASET is setting the standard for industry-wide use - and training - in this sector. Its latest platform decking guidance and associated training embraces load testing, a comprehensive safety checklist, inspection and handover guidelines and covers all aspects of installer competence. FASET also insists that manufacturers offer a comprehensive installation guide with their respective products. Industrial Rope Access Trade Association (IRATA) is another key group involved in AIF. EN 795: 2012 concerns both fixed and mobile anchor points (listing five types, A to E). However, only mobile anchor points not permanently secured to a structure come under the scope of Directive 89/686/EEC on personal protective equipment. The European Commission determined that only types B and E anchor devices are mobile anchors not meant to remain permanently fixed to the structure (and, therefore, ‘personal protective equipment’ covered by 89/686/EEC). A warning was issued in the Official Journal that for types A,C and D there “…shall be no presumption of conformity with the provisions of Directive 89/686/EEC because they are not considered to be PPE…” Accordingly, a mandate was issued to CEN to prepare what is now known as prEN 17235, Permanent anchor devices and safety hooks. PrEN 17235 has been submitted to a CEN Enquiry. The closing date for comments is 16 October 2018. The document defines the requirements for anchor devices and safety hooks permanently fixed to buildings and structures. It contains requirements for single anchor point systems, safety hook systems, wire anchor line systems and rail anchor line systems. Test requirements are presented for fall arrest, work restraint, work positioning, rope access and rescue. Also covered are proposals for type testing and factory production control, marking and information supplied by the manufacturer. The old British standards for portable ladders and stepladders, BS 22037 and BS 1129, have now been partially withdrawn. Portable ladders and stepladders should now be designed to meet the specifications set out in the revised and amended European standard, EN 131. The Ladder Association welcomes these changes to EN 131 as they improve product safety. According to the Association, the partial withdrawal of the ladder specifications in the old British national standards was the next step in positioning EN 131 as the state-of-the-art benchmark for safer ladders. However, standards are not retrospective, so existing ladders and stepladders that comply with the old standards and are still in good condition can continue to be used. However, when they do need replacing, products should be purchased that come with a verified third-party conformity certificate confirming that they meet the current EN 131 standard. The specifications for trestles and stagings in BS 1129 and 2037 remain current and valid. As a member of BSI B512 - the UK’s representation on European CEN TC93 ladder standards committee - the Ladder Association continues to play an active part in the development of the standards. National Access & Scaffolding Confederation (NASC) recognises that the construction industry is constantly developing and that standards in the work at height industry need to evolve with it if they are to remain relevant and fit for purpose. 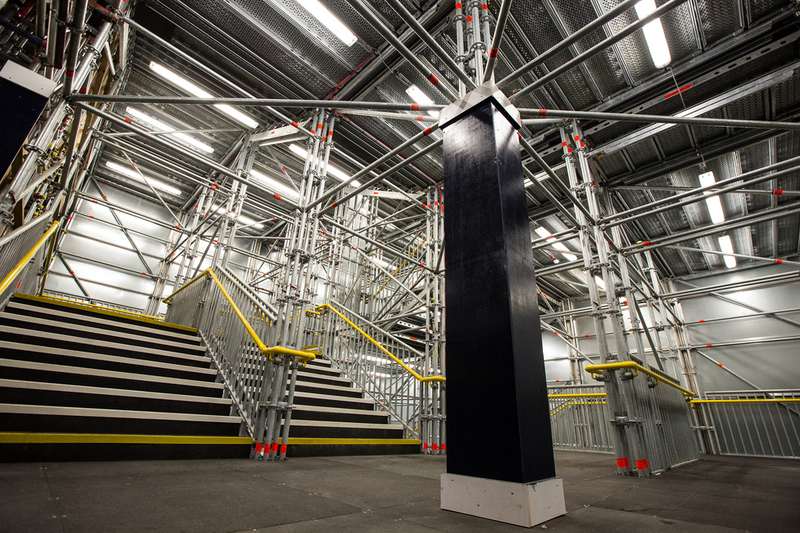 Accordingly, the NASC regularly reviews its wide range of industry recognised safety and technical guidance, created to support the needs of scaffolding contractors, their operatives and clients. This guidance is also recognised by the Health and Safety Executive (HSE), Build UK, CITB and principal contractors alike. As part of the on-going cycle of reviews, existing guidance is updated and new guidance created where appropriate. One of the NASC’s core guidance documents, TG20:13 Guide to Good Practice for Tube and Fitting Scaffolding, plays a key role in ensuring that scaffolds erected throughout the UK are compliant to CEN standards. The NASC plans to review TG20 in 2020. The Confederation will also be looking to re-issue its iconic SG4:15 Guidance (Preventing Falls in Scaffolding Operations) in 2020 further to a five-year review. Prefabricated Access Suppliers’ and Manufacturers’ Association (PASMA) has welcomed the proposed changes to tower standards. EN 1004, the standard that sets the criteria for the design of mobile access towers, is currently subject to revision by the European standards committee for temporary works equipment, CEN TC53. As part of the consultation process, a ballot of TC53 members has approved the draft revision with a view to proceeding to the comment resolution stage. TG53 WG4, the working group tasked with the job of revising the standard, is now considering all the comments submitted in the consultation process with a view to producing an updated draft. Clarifying the criteria for stability calculations. Additionally, EN 1298, the standard for mobile tower instruction manuals, is being updated. In addition to the proposed changes to EN 1004, the revision will consider developments in good working practice with mobile towers. Given land values in cities across the UK, there is an increasing tendency for buildings of every type to become taller, necessitating more complex access machinery to provide safe access to the exterior for routine maintenance purposes. This equipment is typically used at three to six monthly intervals. When considering the maintenance and thorough examination of Building Maintenance Units (BMU’s) and Powered Cradles, reference must be made to BS 6037 - the Code of Practice for the Installation & Use of Permanently Installed Access Equipment. It gives specific responsibilities to an individual - the Duty Holder. Duty Holders include employers, the self-employed, building owners and employees. To support and assist this important sector of the access industry, Specialist Access Engineering And Maintenance Association (SAEMA) has produced a series of guidance notes which can be downloaded free from the SAEMA website. They are intended to help those who are - or may be - Duty Holders to comply with the relevant standards. SAEMA urges anyone who has suspended access equipment installed on a building that they either own, control or occupy, to take time to read and understand the guidance in order to comply with the necessary requirements and, most importantly, keep people safe. The Work At Height Safety Association (WAHSA) is the lead industry body in respect of Personal Fall Protection Equipment (PFPE). Its member companies are the principal manufacturers of PFPE and as such are the acknowledged experts in all aspects of fall protection. In recent years the Association’s focus has turned to setting standards through its involvement with standards committees such as PH/5 - Personal Fall Protection, and to helping interpret those standards through the development and publication of guidance. WAHSA’s aim is to ensure that the end users of PFPE are looked after at all stages of their involvement with the equipment that WASHA members manufacture and distribute. This guidance, written by industry experts and free at source, is allied to the Association’s innovative, online ‘Ask an Expert’ facility which has been developed to provide access equipment users - and those responsible for their supervision and safety - with answers to any access or safety-related question they might have. Falls from height are the single biggest cause of workplace deaths and one of the main causes of major injuries. 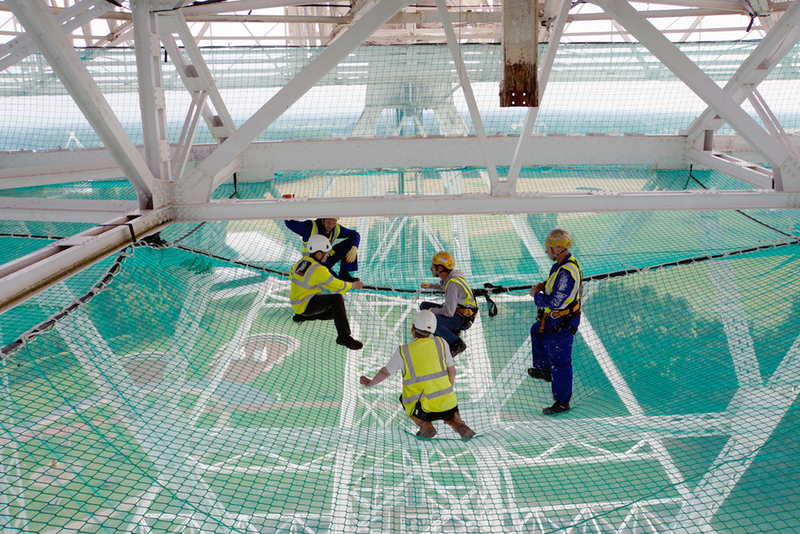 It is therefore essential that any work at height is properly planned, supervised and carried out by competent people to make sure it is undertaken safely as required by the Work at Height Regulations 2005. Each member organisation of the AIF represents a different sector of the access industry and fosters and supports codes of good practice, equipment standards, training, education and knowledge. The AIF also supports the work of the No Falls Foundation, the first and only registered charity dedicated to the work at height sector.